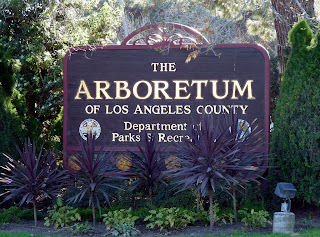 If you've thought to yourself, "hmmm, I wonder if Los Angeles County has an arboretum", then I have the answer for you. And it's located in Arcadia which is nowhere near Hollywood for those of you who've never had the pleasure of ingesting L.A. smog. And you might also be wondering why I would take a trip to this place. And the answer lies in the picture below. 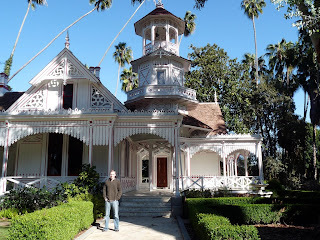 It is the location of the Fantasy Island house used in the opening credits of the iconic television show which aired in the late seventies and early eighties. The tower where Tattoo yelled out "ze plane, ze plane" is still there along with the bell. Unfortunately you are not allowed to enter the house and live your Fantasy Island fantasies. However, there is nothing stopping you from yelling out "ze plane, ze plane" from ground level and join the hordes of tourists who have likely done the same thing. 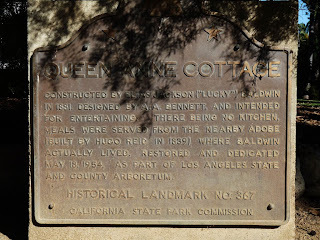 This house is actually called the Queen Anne Cottage and was built in 1881. 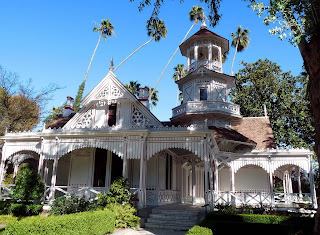 It is a beautiful piece of Victorian architecture and extremely well preserved. 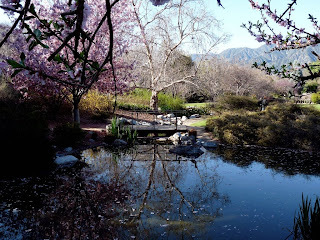 The Arboretum is a great place to come and relax. 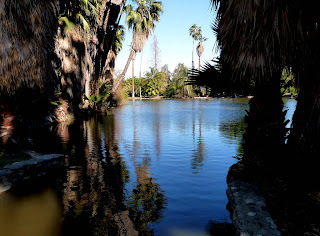 For eight dollars (take some cash because they don't accept plastic), you can tour the extensive grounds which do evoke a tropical location. I recommend coming in the early spring. It was a little cold in March and the blossoms were just coming out. Everything else was pretty much dead. And there was even some wildlife hanging around. 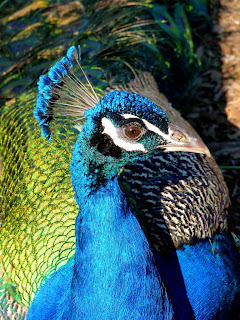 These peacocks were damn proud and didn't mind having their picture taken. For those of you who are hankering for some more Fantasy Island, you can check out the series on DVD.